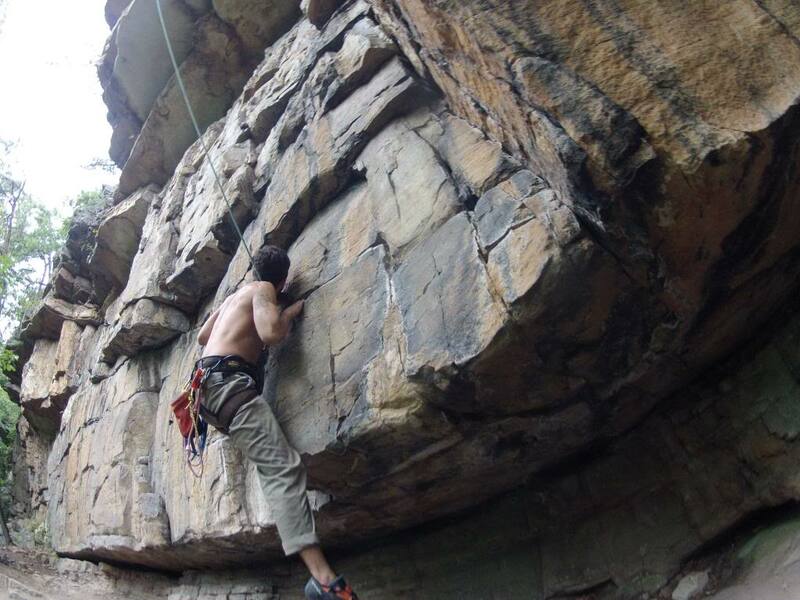 After nearly a year of climbing indoors at Peak, I finally had a chance to climb outdoors this weekend. Joey, Tobje, and I headed to Goshen early Saturday morning, unloaded our gear from Joey's Jeep at the swinging bridge, and hiked in to begin our day of climbing. 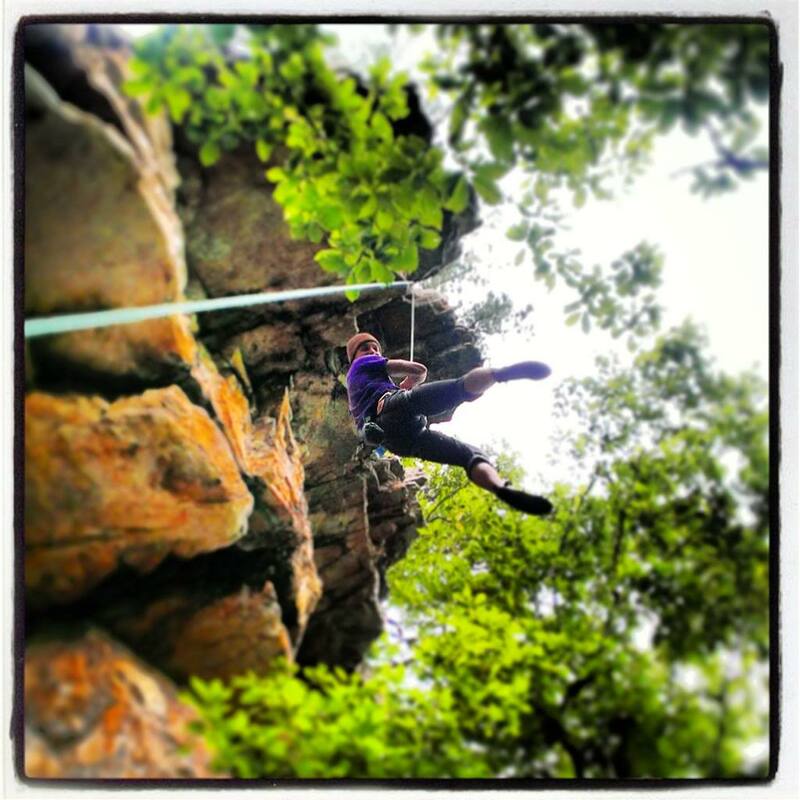 Once at the rock face, we set two top ropes and began taking turns tackling the ascents. The rain was nearly constant throughout the day, but the overhanging rock kept us dry. It was actually a very nice touch, keeping the temperature low and offering a soothing sound to the background. At midday, we moved one rope to another location and attempted a more difficult route. It was unique from the other two due to its overhanging anchor point, which meant that a fall resulted in a lengthy swing away from the face. That night we camped near Crabtree Meadows and the next morning we decided to drive Shoe Creek. 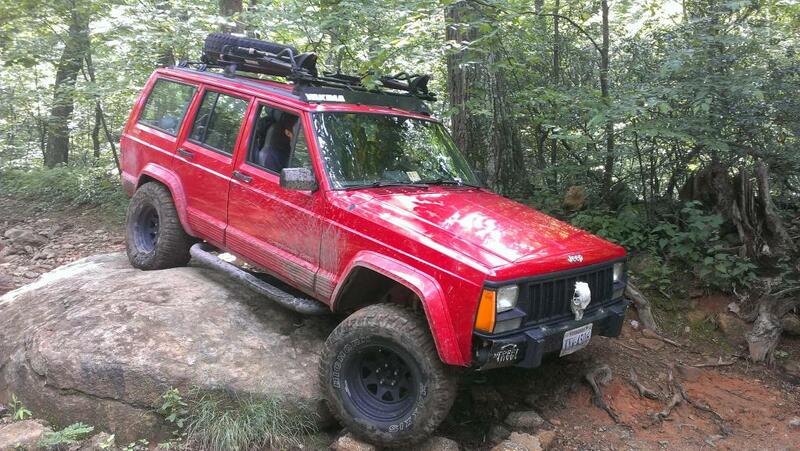 Joey's Jeep handled the rocky trail in excellent form. Near the completion of the 4x4 trail, we spotted a decent water hole and chose to brave the cold water before heading to pavement and back to Richmond.